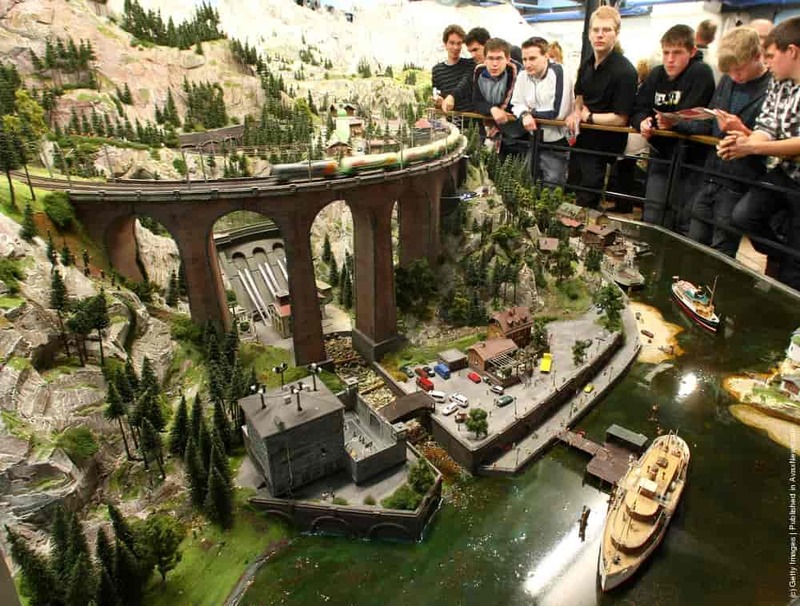 If you are a model railway enthusiast, then visiting Miniatur Wunderland in Hamburg is a must. It is the largest of its kind in the world and is continuing to grow. It is so large it will take you several hours to see all the models and make sure you take your camera with you as you are bound to want to take lots of pictures. The exhibit includes over 100,000 vehicles, 500,000 lights, 400,000 figurines and more than 15 kilometersof railway track. Even if you are not an enthusiast, it would still be a great place to take your family out to see if you are ever in Germany. The exhibition is split up into different countries, so it is a real international affair. Presently, the locations on display are Germany, Austria, Italy, the USA, Switzerland, and Scandinavia. There are also big plans for the future, with the UK, France, and Australia looking to be added over the next few years. In addition to the railways, there is also an extremely impressive airport with model aircraft, and there is even a shipping section containing 30,000 liters of water. The attention to detail is incredible, including an operational departures board at the airport and computer operated shipping traffic. What is great about this exhibit is the opportunity for you to see how they create these models live with model artists showing you how it’s done. The kids will love this part and help them to really get involved in the world of miniatures. In addition, there is a nice little gift shop at the end, where you can buy DVD’s and souvenirs. It is located in the Speicherstadt district at Kehrwieder 2-4/Block D, 20457 Hamburg, Germany. It is open from 9:30 – 18:00, 7 days a week, 365 days a year – even later at the weekends and during the holidays.